Indian civilization’s scientific advancements include the earliest astronomy, geometry, number theory, the Indian numeral system, the idea of physical laws and invariance, the earliest formal system, a very subtle Yoga psychology, and the idea of immunization in medicine. The annual Indian Science Congress, which just concluded, had its usual share of controversies about history of Indian science and I have been asked to weigh in. It so turns out that I did precisely that in a brief account titled “Science” for Stanley Wolpert’s Encyclopedia of India(2005) and since that is freely available online, I shall be more selective of themes in this revision of the previous essay. This account does not include the modern period for which many excellent histories exist. Indian archaeology and literature provide considerable layered evidence related to the development of science. The chronological time frame for this history is provided by the archaeological record that has been traced, in an unbroken tradition, to about 8000 BCE. Prior to this date, there are records of rock paintings that are considerably older. The earliest textual source is the Ṛgveda, which is a compilation of very ancient material. The astronomical references in the Vedic books recall events of the third or the fourth millennium BCE and earlier. The discovery that Sarasvati, the preeminent river of the Ṛgvedic times, went dry around 1900 BCE, if not earlier, suggests that portions of the Ṛgveda may be dated prior to this epoch. The third millennium urbanization is characterized by a very precise system of weights and monumental architecture using cardinal directions. Indian writing (the so-called Indus script) goes back to the beginning of the third millennium BCE, but it has not yet been deciphered. However, statistical analysis shows that the later historical script called Brahmi evolved from this writing. The Vedic texts assert that the universe is governed by ṛta (laws) and that consciousness transcends materiality. The universe is taken to be infinite in size and infinitely old. By the time of the Purāṇas, other worlds were postulated beyond our solar system. It is asserted that language (as a formal system) cannot describe reality completely and linguistic descriptions suffer from paradox. Because of this limitation, reality can only be experienced and never described fully. Knowledge was classified in two ways: the lower or dual अपरा; and the higher or unified परा. The seemingly irreconcilable worlds of the material and the conscious were taken as aspects of the same transcendental reality. The texts present a tripartite and recursive view of the world. The three regions of earth, space, and sky are mirrored in the human being in the physical body, the breath (prāṇa), and mind. The processes in the sky, on earth, and within the mind are assumed to be connected. This connection is a consequence of a binding (bandhu) between various inner and outer phenomena and it is because of this binding that it is possible to know the world. The connection between the outer and the inner cosmos is seen most strikingly in the use of the number 108 in Indian religious and artistic expression. It was known that this number is the approximate distance from Earth to the sun and the moon, in sun and moon diameters, respectively. This number was probably obtained by taking a pole of a certain height to a distance 108 times its height and discovering that the angular size of the pole was the same as that of the sun or the moon. It is a curious fact that the diameter of the sun is also approximately 108 times the diameter of Earth. This number of dance poses (karaṇas) given in the Nāṭya Śāstra is 108, as is the number of beads in a japamālā. The distance between the body and the inner sun is also taken to be 108, and thus there are 108 names of the gods and goddesses. The number of marmas (weak points) in Āyurveda is 107, because in a chain 108 units long, the number of weak points would be one less. Ancient Indian views of the universe are more subtle than the corresponding Western views. The history of Indian physics goes back to Kaṇāda (कणाद) (~ 600 BCE) who asserted that all that is knowable is based on motion, thus giving centrality to analysis in the understanding of the universe. Kaṇāda asserted that there are nine classes of substances: ether, space, and time, which are continuous, and four kinds of atoms two of which have mass and two are massless. He also made a distinction between mind and the self, or consciousness. The conscious subject is separate from material reality but is, nevertheless, able to direct its evolution. Kaṇāda presented laws of motion and also spoke of invariants. He saw the atom to be spherical since it should appear the same from all directions. The atoms combined to form different kinds of molecules that break up under the influence of heat. The molecules come to have different properties based on the influence of various potentials. Indian chemistry developed many different alkalis, acids, and metallic salts by processes of calcination and distillation, often motivated by the need to formulate medicines. Metallurgists developed efficient techniques of extraction of metals from ore.
We know quite a bit about how astronomical science evolved in India. The Yajurvedic sage Yājñavalkya knew of a ninety-five-year cycle to harmonize the motions of the sun and the moon, and he also knew that the sun’s circuit was asymmetric. The second millennium BCE text Vedāṅga Jyotiṣa of Lagadha went beyond the earlier calendrical astronomy to develop a theory for the mean motions of the sun and the moon. An epicycle theory was used to explain planetary motions. Given the different periods of the planets, it became necessary to assume yet longer periods to harmonize their cycles. This led to the notion of mahāyugas and kalpas with periods of billions of years. The innovations of the division of the circle into 360 parts and the zodiac into 27 nakṣatras and 12 rāśis took place first in India. The schoolbook accounts of how these innovations first emerged in Mesopotamia in the 7th century BCE and then arrived in India centuries later are incorrect. The Śatapatha Brāhmaṇa which was compiled soon after the Vedas says: “The sun strings these worlds [the earth, the planets, the atmosphere] to himself on a thread. This thread is the same as the wind…” This suggests a central role to the sun in defining the motions of the planets and ideas such as these must have ultimately led to the theory of expanding and shrinking epicycles. Astronomical texts called siddhāntas begin appearing sometime in the first millennium BCE. According to the tradition there were eighteen early siddhāntas, of which only a few have survived. Each siddhānta is an astronomical system with its own constants. The Sūrya Siddhānta speaks of the motion of planets governed by “cords of air” that bind them, which is a conception like that of the field. The great astronomers and mathematicians include Āryabhaṭa (b. 476), who took Earth to spin on its own axis and who spoke of the relativity of motion and provided outer planet orbits with respect to the sun. This work and that of Brahmagupta (b. 598) and Bhāskara (b. 1114) was passed on to Europe via the Arabs. The Kerala School with figures such as Mādhava (c. 1340–1425) and Nīlakaṇṭha (c. 1444–1545) came up with new innovations of analysis based on advanced mathematics. The Sāṅkhya system speaks of evolution both at the levels of the individual as well as the cosmos. The Mahābhārata and the Purāṇas have material on creation and the rise of humankind. It is said that man arose at the end of a chain that began with plants and various kind of animals. In Vedic evolution the urge to evolve into higher forms is taken to be inherent in nature. A system of an evolution from inanimate to progressively higher life is assumed to be a consequence of the different proportions of the three basic attributes of the guṇas (qualities): sattva (“truth” or “transparence”), rajas (activity), and tamas (“darkness” or “inertia”). In its undeveloped state, cosmic matter has these qualities in equilibrium. As the world evolves, one or the other of these becomes preponderant in different objects or beings, giving specific character to each. Indian geometry began very early in the Vedic period in altar problems, as in the one where the circular altar is to be made equal in area to a square altar. The historian of mathematics, Abraham Seidenberg, saw the birth of geometry and mathematics in the solution of such problems. Two aspects of the “Pythagoras” theorem are described in the texts by Baudhāyana and others. Problems are often presented with their algebraic counterparts. The solution to planetary problems also led to the development of algebraic methods. Binary numbers were known at the time of Piṅgala’s Chandaḥśāstra. Piṅgala, who might have lived as early as fourth century BCE used binary numbers to classify Vedic meters. The knowledge of binary numbers indicates a deep understanding of arithmetic. The sign for zero within the place value decimal number system that was to revolutionize mathematics and facilitate development of technology appears to have been devised around 50 BCE to 50 CE. Indian numerals were introduced to Europe by Fibonacci (13th century) who is now known for a sequence that was described earlier by Virahaṅka (between 600 and 800), Gopāla (prior to 1135) and Hemacandra (~1150 CE). Nāryāna Paṇḍit (14th century) showed that these numbers were a special case of the multinomial coefficients. Bharata’s Nāṭya Śāstra has results on combinatorics and discrete mathematics, and Āryabhaṭa has material on mathematics including methods to solve numerical problems effectively. Later source materials include the works of Brahmagupta, Lalla (eighth century), Mahāvīra (ninth century), Jayadeva, Śrīpati (eleventh century), Bhāskara, and Mādhava. In particular, Mādhava’s derivation and use of infinite series predated similar development in Europe, which is normally seen as the beginning of modern calculus. Some scholars believe these ideas were carried by Jesuits from India to Europe and they eventually set in motion the Scientific Revolution. A noteworthy contribution was by the school of New Logic (Navya Nyāya) of Bengal and Bihar. At its zenith during the time of Raghunātha (1475–1550), this school developed a methodology for a precise semantic analysis of language. Navya Nyāya foreshadowed mathematical logic and there is evidence that it influenced modern machine theory. Pāṇini’s grammar Aṣṭādhyāyī (Eight chapters) of the fifth century BCE provides four thousand rules that describe Sanskrit completely. This grammar is acknowledged to be one of the greatest intellectual achievements of all time. The great variety of language mirrors, in many ways, the complexity of nature and, therefore, success in describing a language is as impressive as a complete theory of physics. Scholars have shown that the grammar of Pāṇini represents a universal grammatical and computing system. From this perspective, it anticipates the logical framework of modern computers. Āyurveda, the Indian medicine system, is a holistic approach to health that builds upon the tripartite Vedic approach to the world. Health is maintained through a balance between three basic humors (doṣa) of wind (vāta), fire (pitta), and water (kapha). Each of these humors had five varieties. Although literally meaning “air,” “bile,” and “phlegm,” the doṣas represented larger principles. Its division of states into three categories rather than two is more efficient than the binary division of other medicine systems. Caraka and Suśruta are two famous early physicians. According to Caraka, health and disease are not predetermined, and life may be prolonged by human effort. Suśruta defines the purpose of medicine to cure the diseases of the sick, to protect the healthy, and to prolong life. The Saṃhitās speak of organisms that circulate in the blood, mucus, and phlegm. In particular, the organisms in the blood that cause disease are said to be invisible. It is suggested that physical contact and sharing the same air can cause such diseases to spread. Inoculation was practiced for protection against smallpox. Indian surgery was quite advanced. The caesarian section was known, as was plastic surgery, and bone setting reached a high degree of skill. Suśruta classified surgical operations into eight categories: incision, excision, scarification, puncturing, probing, extraction, evacuation and drainage, and suturing. Suśruta lists 101 blunt and 20 sharp instruments that were used in surgery. The medical system tells us much about the Indian approach to science. There was emphasis on observation and experimentation. Indian texts provide an extremely subtle narrative on the nature of consciousness. Vedic deities represent cognitive centers. It is asserted that parā-vidyā or ātma-vidyā cannot be described in language. Consciousness remains forever beyond words or designs which is why in the Śrī-yantra which is a representation of the cosmos, consciousness (Śiva) is shown as an infinitesimal dot in the middle. The interaction between matter and consciousness is postulated in terms of the observation process in a view that is called dṛṣṭi-sṛṣṭi (creation through observation). This view does not interfere with the process of evolution by law. In the orthodox interpretation of quantum theory, consciousness is a separate category in a manner is quite consistent with Vedanta. Modern scientific subjects like physics, computer science, and neuroscience have been unable to explain the phenomenon of consciousness. Philosophy cannot reconcile our sense of freedom and agency with the framework of machine-like laws. In physical theory there is no place for the observer, computer science cannot explain how awareness arises in the brain machine, and neuroscience has not found any neural correlate of consciousness. At the same time, the very association of information with physical systems as is done using entropy implies postulation of consciousness. So the use of the reductionist method in the analysis of consciousness has hit a wall. Indian texts assert that the phenomenon of consciousness cannot be studied directly as a material property. Their analysis of consciousness using indirect methods may very well be relevant for further progress of this question in contemporary science. Concluding, India’s civilization valued science and knowledge above all and some of the most extraordinary scientific advances took place there. These include the earliest astronomy, geometry, number theory, the Indian numeral system, the idea of physical laws and invariance, the earliest formal system to describe a complex natural phenomenon (as in Pāṇini’s computer program-like grammar that was not rivaled for 2,500 years), a very subtle Yoga psychology, and the idea of immunization in medicine. 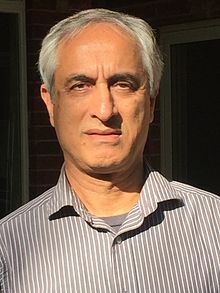 Subhash Kak is an Indian American computer scientist notable for his Indological publications on the history of science, the philosophy of science, ancient astronomy, and the history of mathematics.